One of many services Jackson Events provides is the opportunity for you to have interaction with celebrities you could otherwise only dream of. We’ve all fantasized of meeting our childhood sports idol or having a picture taken with a Hollywood star that made appearances in our favorite movie or TV show. Imagine being able to take our fantasies to the next level? Jackson Event’s celebrity services allow you to do more with your favorite celebrity then just shake their hand, have your picture taken with them or get their autograph. By using Jackson Event’s celebrity services, you have the opportunity to have your desired celebrity to participate directly in your endeavors, as well as interact with them throughout the event on a personal level. Imagine having Maple Leafs great Doug Gilmour or a member of the Pro Football Hall of Fame in your golf foursome or at your table during dinner? Looking for some entertainment or a motivational keynote speaker for your event? A Jackson Events personality can formally address your guests in a comedic or motivational format. You can either provide Jackson Events with a specific name, or tell us your desires and preferences and we can suggest the best people for that would fit with your event. 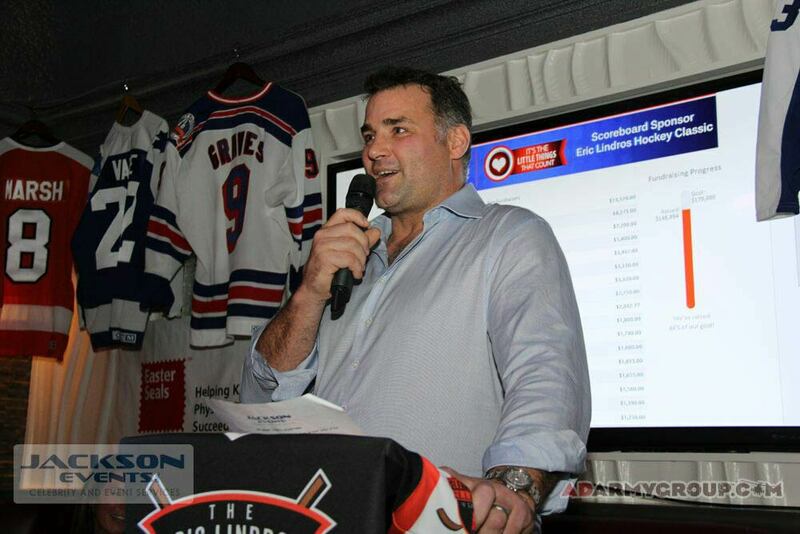 Jackson Events has working relationships with hundreds of current and retired athletes and stars that range from NHL alumni, current hockey players, Olympians, football players, baseball players, public speakers, professional chefs, professional skaters, broadcasters, Hollywood celebrities and many more different types of celebrities. A huge reason for Jackson Event’s outstanding relationship with such prestige people is because we treat our celebrities like we treat our customers; with integrity, honesty and a sense of fun. Although our website provides an extensive list of celebrity services that you can choose from, if you have a request who’s name that is not on the list, we can still get in contact with them and make arrangements for you. Our crew at Jackson Events has a wide range of connections that we are able to utilize to get the celebrities you desire for your event. An example of this was when one of our clients enlisted our celebrity services for their conference in San Francisco. Jackson Events provided them with several celebrities for the duration of their events. 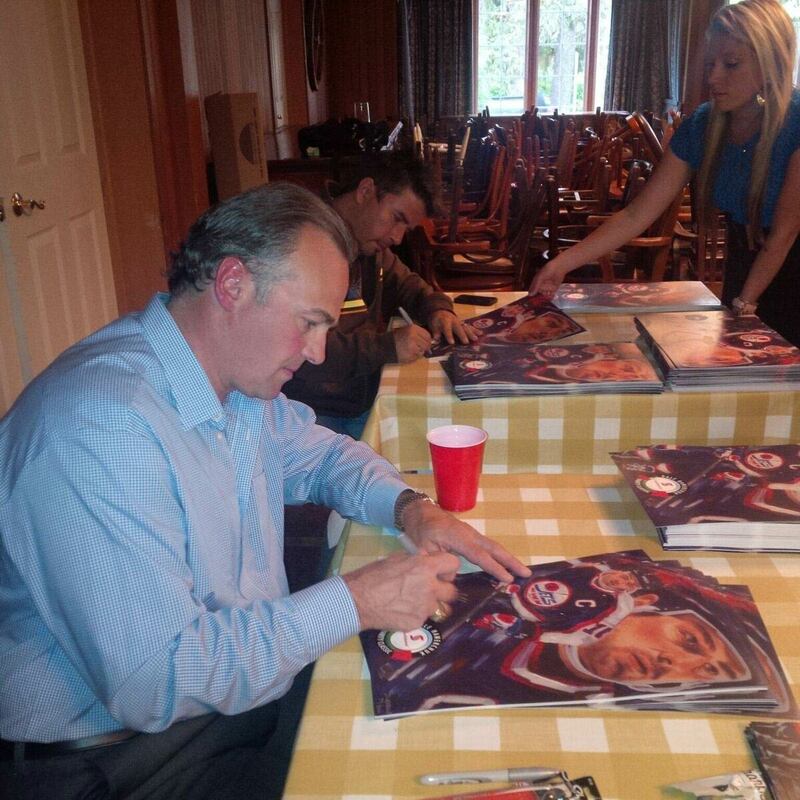 These included former NHL greats Wendel Clark, Mark Messier and Kirk Muller. Jackson Events has working relationships and have done events with all three of these celebrities in the past, and as such they are listed on our Jackson Events website. In addition to the three former NHLers, our client also requested a football player with ties to San Francisco. Although Jackson Events hasn’t had dealings with these individuals in the past, we were able to secure the celebrity services of San Francisco 49ers greats Jerry Rice and Ronnie Lott. This is a prime example of how Jackson Events can use our connections to provide the best possible celebrity services for you and your corporation. You can use Jackson Events celebrity services in a variety of ways to maximize the potential of your event. We can arrange for you to have question and answer sessions with your desired celebrities or have your celebrity deliver a keynote speech addressed specifically to your audience. The speech could cover your celebrity’s life and career, or it could focus on your audience with a motivational message coming from a celebrity who is truly admired. You can also use our celebrity services for things such as product launches or endorsements, trade shows, media campaigns, hospitality events, grand openings, sports celebrity dinners, team building initiatives various types of corporate parties and other special occasions where having Jackson Events celebrity services may be beneficial. Jackson Events celebrity services are also useful for sports tournaments such as hockey or golf. For hockey tournaments, you can use our celebrity services to enlist a celebrity as an honorary team captains, have a larger number of celebrities to form an all-star team, or have celebrities scattered on different teams to give everybody the thrill of playing with a NHL great. Depending on the format you desire for your tournament, there are ways for you to incorporate all aspects to give your participants the ultimate experience alongside former professionals. Jackson Events celebrity services are also extremely beneficial for golf tournaments. Our celebrity services can provide celebrities who are keen and anxious golfers, enjoy the personal interaction aspect of golf, and can provide a spark for the after golf festivities as well. Like hockey tournaments, utilizing Jackson Events celebrity services gives you a wide variety of options on how your tournament is run. You can put a celebrity with different foursomes you deem best, you can post a celebrity on certain holes and they play that hole with each passing group, or you can have the celebrities form their own foursome and play against the celebrities. If you have a customized idea, Jackson Events celebrity services can work with you to ensure your visions come to reality! Are you looking for a catchy host or person throwing the party? Jackson Events celebrity services can provide you with a person to host your event! This will naturally draw the attention of prospective attendees if they see a celebrity they know of is hosting the event. Jackson Events celebrity services provide so much more than just celebrity appearances. 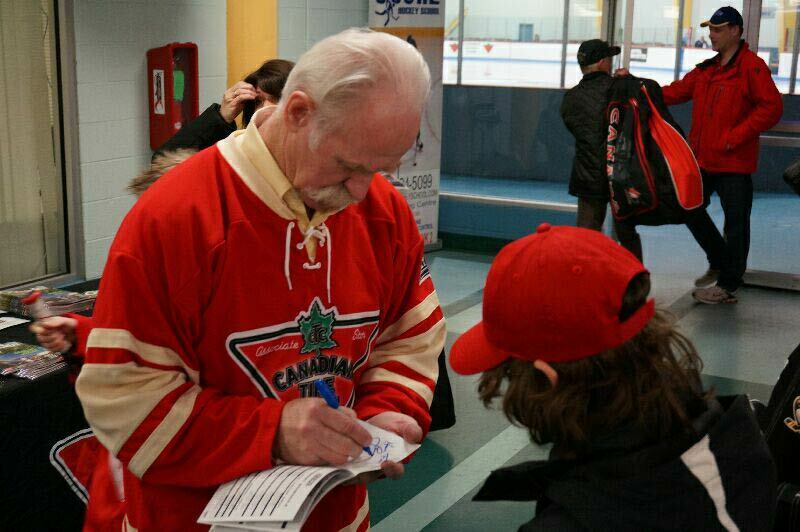 Hockey Artist David Arrigo at an autograph signing his artwork. While appearances are essential and really make an event memorable, everybody wants a special keepsake of that event and as proof that they were treated as one as a kind. 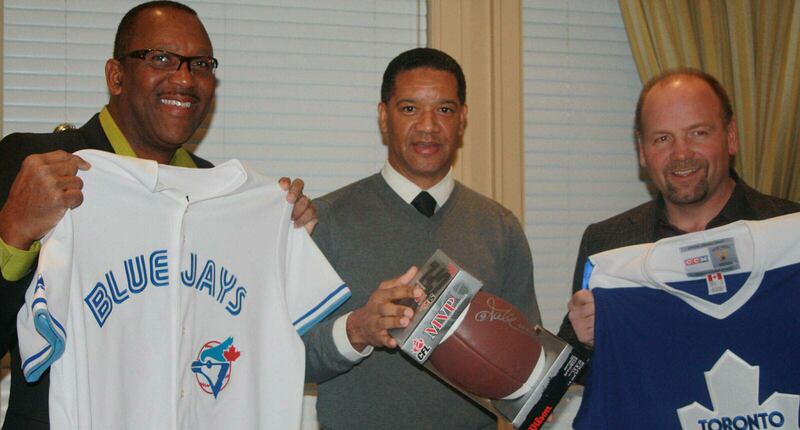 Jackson Events celebrity services also provides autographed memorabilia for events which we are a part of. There are a wide variety of different options our celebrity services has to offer when it comes to autographed memorabilia. You can keep the memorabilia limited to whomever is in appearance, you can order additional memorabilia of sports stars who are not in attendance but still want to either auction off or give their memorabilia as a keep sake. Imagine how much a signed jersey of a NHL great could generate in an auction should you choose to have an auction? Our Jackson Events celebrity services have the ability to garner you a wide range of auction items. We have several pieces of memorabilia currently in stock and have the resources to almost any piece of memorabilia you may have in mind. What you do with the memorabilia, whether auction, give away, raffle or something else, is completely at your discretion.